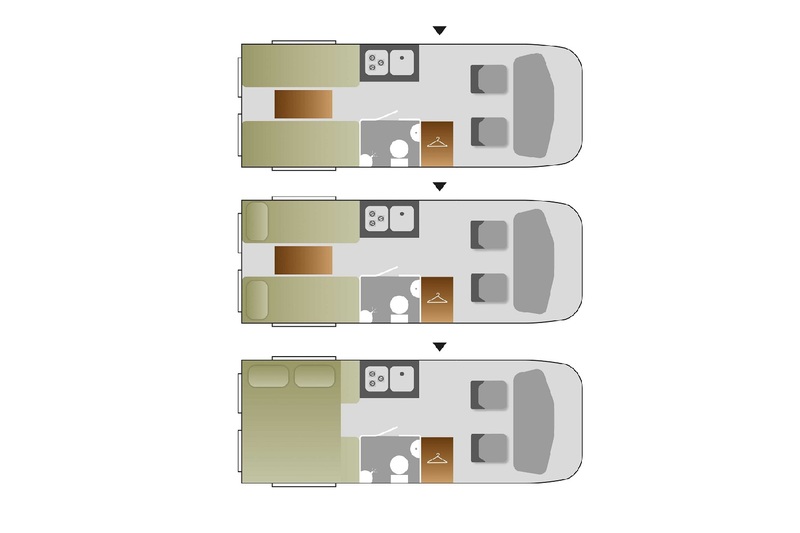 Whatever your leisure needs, be it a music festival or sporting event, an adventure packed weekend, or a relaxing getaway, the Swift Select 122 offers all the features and home comforts of a coachbuilt motorhome but in a slimmer and easier to drive van conversion. 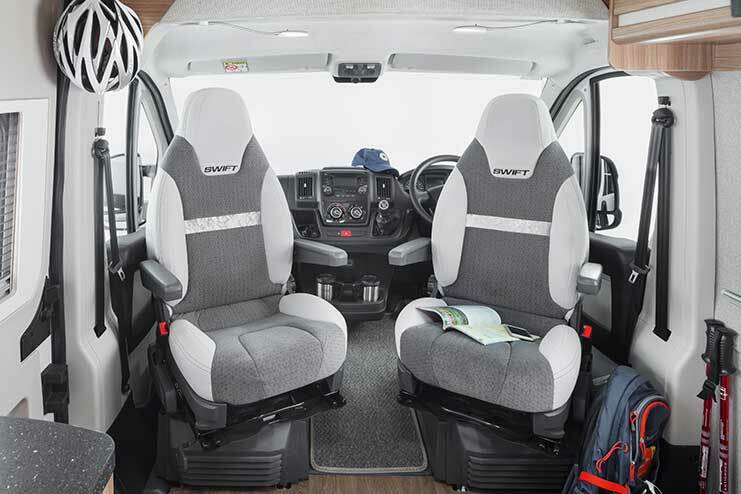 The 2 berth, 2 seatbelt Swift Select 122 campervan is only 6 metres long, but inside you’ll find it light and spacious. It has a huge rear lounge, with plenty of storage, that can comfortably seat six, making it perfect for particularly sociable couples. Open up the rear doors and bring the outside in and embrace the full outdoor camping experience. In the evening you can opt to convert the lounge into a large comfortable double bed, or two narrow singles. Both of which can be made up in seconds. It has a well-equipped kitchen, including a gas hob, oven/grill and a good size fridge with freezer compartment. The compact wetroom is brilliant designed to save space, yet still provides you with a toilet, shower and hand basin. This 2.3l diesel campervan is incredibly manoeuvrable, and you’ll only need a standard driving licence (B category) to drive it. It handles like a car, and with it’s power steering and Fiat’s Comfort-matic gearbox you’ll be in driving heaven. Images used are from the manufacturer. Not available for hire until June 2019.